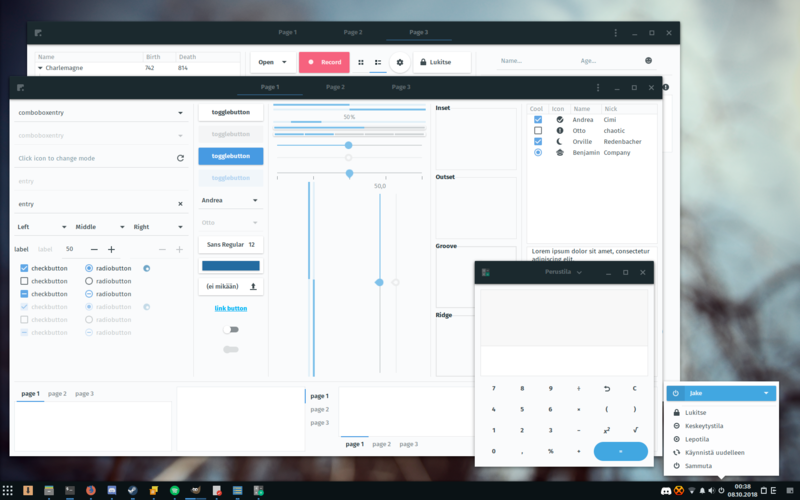 From reading the most recent sync's patch notes, I saw that Adapta had an update where the colours where changed to be more solus themed (a nice change!). After I rebooted, I realised that although the majority of the UI elements had been updated to the new colour, there were some that are still the old colour. A screenshot is attached showing some examples. Unfortunately I couldn't show them all in the screenshot because of how the screenshot util works. I don't have any experience with GNOME theming, so I don't know why these are the old colour. 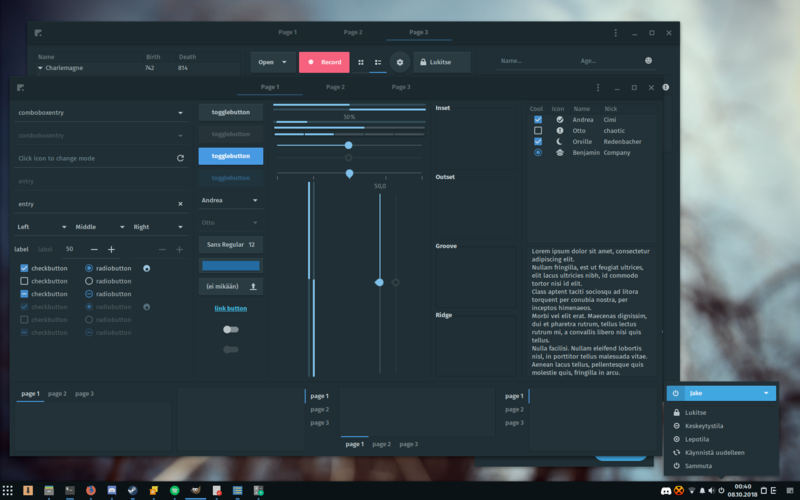 Would it be possible to somehow update these UI elements as well to the new, more Solus like colour? AFAIK it is working as intended. Only the "selection" and "accent" colors were updated. 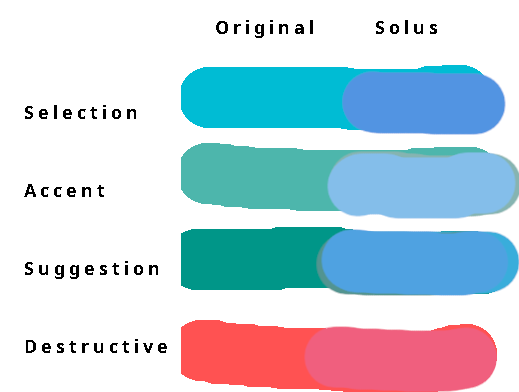 Not the "suggested" or "destruction" colors (teal and red, respectively). However, I can take a look if I find something more fitting colors for the rest. Selection and Accent colors were already replaced. In this also Suggestion color is replaced with another hue of blue (more green-ish or purple-ish colors just look odd in the UI) and Destructive color with a bit paler red. The link color visible in the screenshots is defined somewhere else in the theme and not affected by autogen switches. @watpi sorry for not replying sooner, for some reason it doesn't look like I'm getting email notifications. Oh okay I see, I don't know really anything about GNOME theming, at least I know a little more now! I just thought that the teal colour looked a little out of place with the recent colour changes. I think the changes that you have proposed in D3986 look really good! @watpi looks great to me too! Even if the palette isn't perfect, it's better than the current inconsistent one. One element that hasn't been mentioned yet are the volume (and brightness) control popups. Would the above changes take care of them as well? 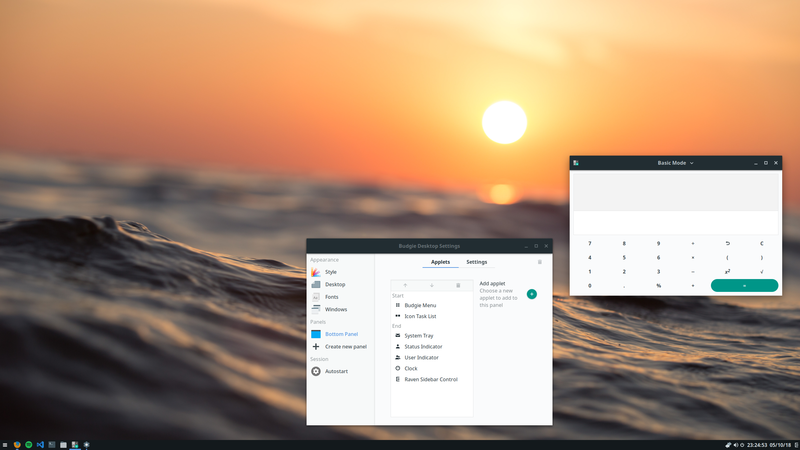 We'll need to patch adapta-gtk-theme to force the accent color for those OSDs. 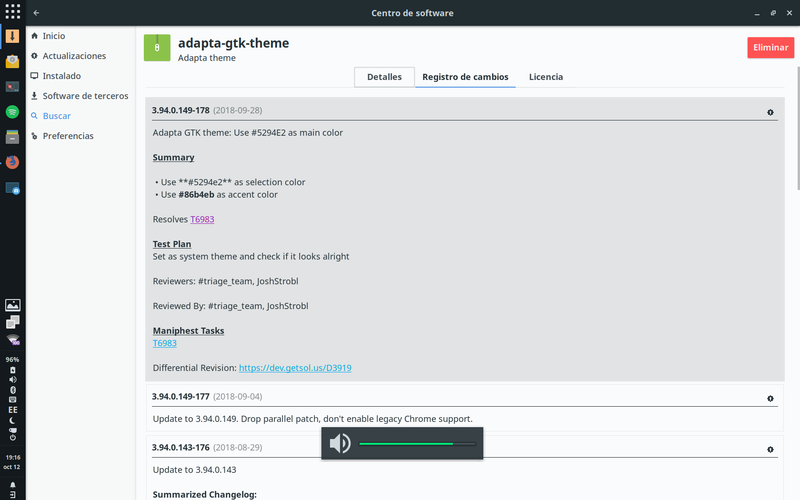 JoshStrobl added a commit: R338:22310bccedec: adapta-gtk-theme: Change suggestion and destruction colors.